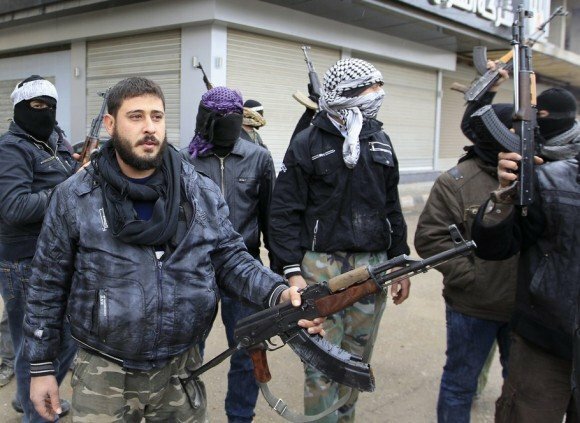 According to a new research, at least 15 rebel forces in Syria are ready to succeed ISIS if it is defeated by the US-led coalition. The Centre on Religion & Geopolitics, linked to former UK Prime Minister Tony Blair, also says that 60% of the rebels could be classified as Islamists. It argues that attempts by world powers to distinguish between moderate and extremist factions are flawed. Western countries have stepped up air strikes against ISIS in Syria and Iraq. But the Centre on Religion and Geopolitics said the greatest danger to the international community was groups who share the ISIS ideology but are currently being ignored. They number about 100,000 fighters, the centre said. “The West risks making a strategic failure by focusing only on ISIS,” the centre said. If ISIS is defeated, dispersed fighters and other extremists could attack targets outside Syria under a rallying cry that “the West destroyed the Caliphate”, the centre warned. Such new groups could compete for the spotlight to ensure allegiance from the global fighters and financing that ISIS currently attracts. By contrast, fewer than a quarter of the rebels surveyed were not ideological, the centre said. But many of those were willing to fight alongside extremists and would probably accept an Islamist political settlement to the civil war, it claimed. In response, the military campaign against ISIS must be accompanied by an “intellectual and theological defeat of the pernicious ideology that drives it”, the centre said. It also said that unless President Bashar al-Assad leaves or is removed from office, the war in Syria is likely to spread further.